Each and every animal deserves a loving home. But sadly, not all animals are given one. Sometimes, cats and dogs end up on the streets, wandering aimlessly, attempting to fend for themselves. Yankee the poodle was one of these poor animals. Yankee was discovered by a group of locals who said he had been living on the Los Angeles streets for some time. But whenever they tried to help him, the pup always resisted, refusing to leave his spot in the alleyway. When they finally figured out why, it broke everyone’s heart. 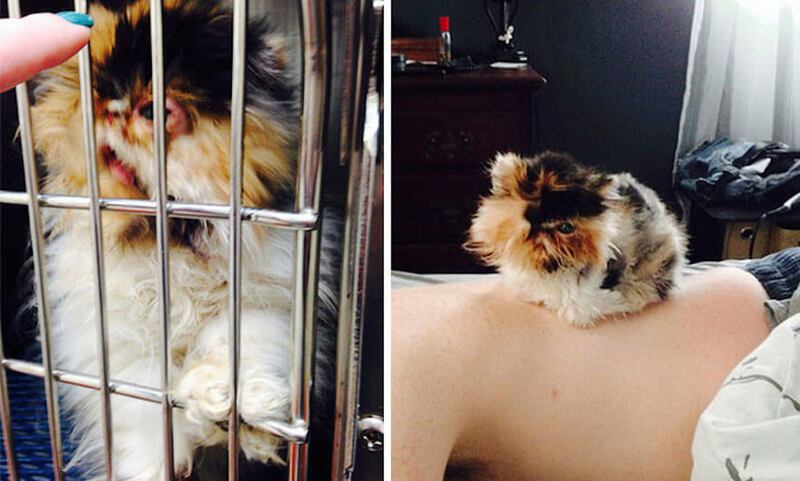 Before and after photos of animals who ended up in a shelter are worth a thousand words. Although the first image is devastating, we’re happy to know they’re living their best lives now. Keep reading to see more adoption transformations. 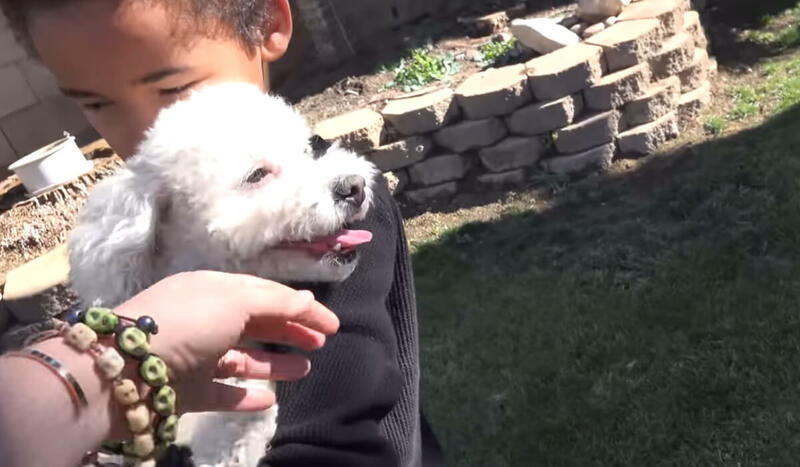 Frosty, a seven-year-old dog from Illinois, was rescued from the home of an abusive and neglectful owner. 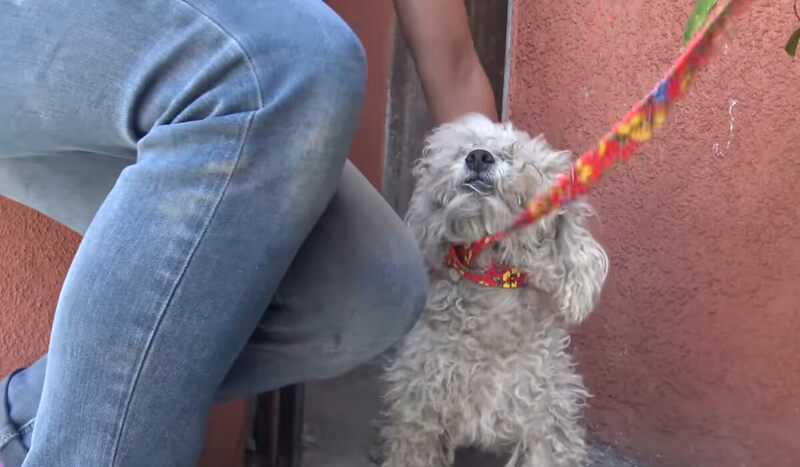 When he arrived at the animal rescue he was missing almost all of his fur and even simple tasks like eating food and drinking water were making him sick. He was rescued by a family with two dogs and two cats and quickly became part of the family. After a series of medications, a balanced diet, and lots of love, his transformation was complete. Believe it or not, the before and after photos were taken just one month apart! 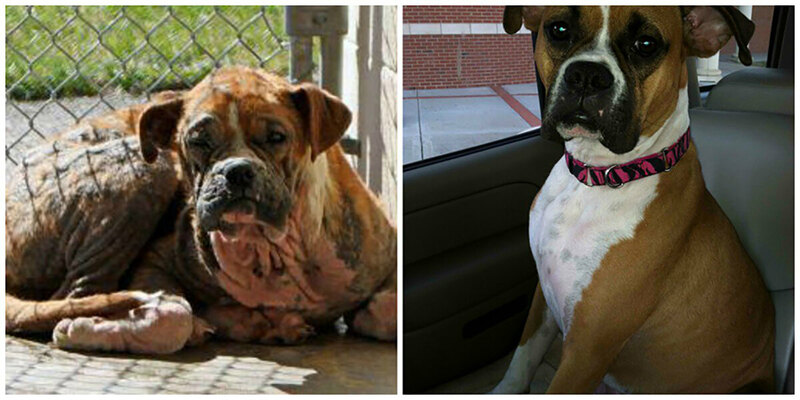 When Annabelle was discovered by the team at Blue Grass Boxer Rescue in Kentucky she was near death. This poor little pup was abused, malnourished, and afraid of humans. Her breed is often left to die at the hands of cruel handlers and she was no exception. 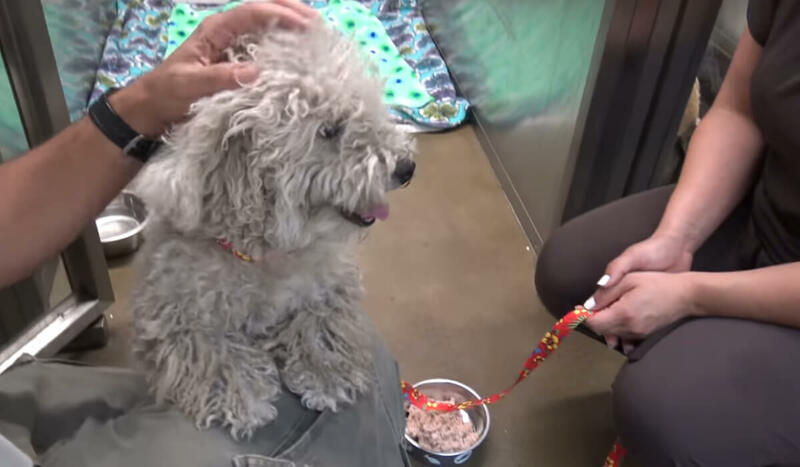 After treating her wounds and providing a balanced diet with regular veterinarian services, her fur began to grow back and she became a friendly dog once again. A family in Tennessee fell in love with Annabelle and brought her to their state where she now lives in her forever home. When Bella was still a puppy she didn’t have a family to call her own. Just like a child in foster care, she was passed from one family to the next. The uncertainty in her life led to depression and a shy demeanor which can be seen in her before photo. Eventually, a loving family decided to take her in and provide Bella with her very much appreciated forever home. 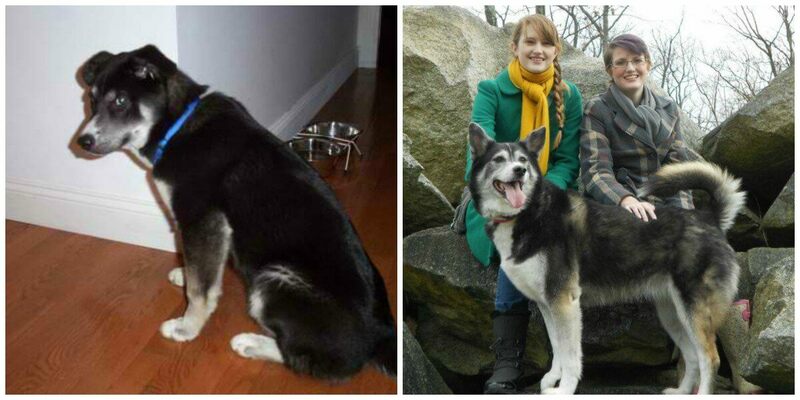 Bella’s after photos show a healthier and much happier rescue dog. It’s amazing how a little bit of love and nurturing can transform a dog in a very short period of time. Betty was living a tough life on the streets and her time without a forever home led to some physical challenges. 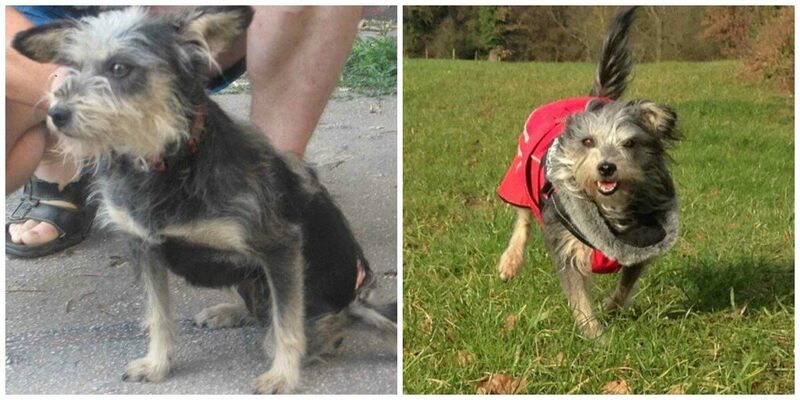 When Betty was picked up by an animal rescue service she was unable to use one of her back legs. She was malnourished and needed a lot of tender love and care from vets. After treating Betty she was still unable to use her leg but her amazing strength turned her into an active puppy with a lot of love to give. Her new owners were sure to buy her a comfy bed so she could rest her bad leg after a rousing game of fetch. When Mr. Biscuits was outside on a cold day he looked for a warm place to cuddle up and get some sleep. 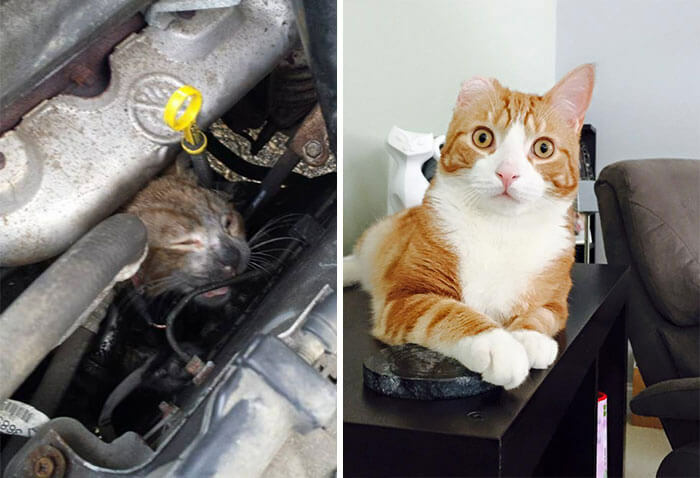 Unfortunately, Mr. Biscuits didn’t realize the warm spot they found was the inside of a car engine. 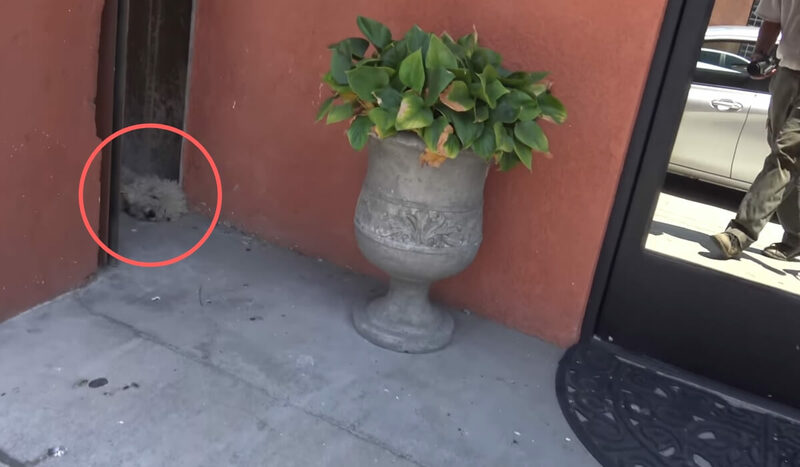 The vehicle’s owner started to drive away and only stopped when they heard the painful screams of the trapped kitten. The furry little kitten was rushed to the vets where they were cleaned up and rehabilitated. Months after their run-in with a car engine we’re happy to report that this furry little friend looks amazing and is a friendly addition to her forever home. Eleanor’s story played out like many other cats before her. She was discovered by a Good Samaritan in a dumpster and she was severely injured and malnourished. She was quickly rushed to a local rescue where vets worked to heal her wounds and prepare her for adoption. 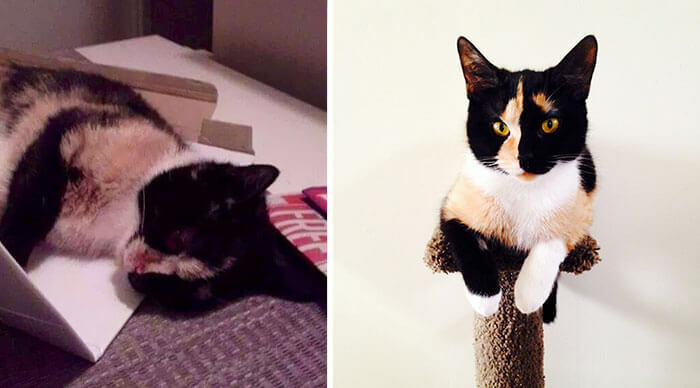 Despite a before photo that seemed hopeless, within a few short months her fur grew back and Eleanor looked like a brand new kitten. She now enjoys her days with plenty of food and love in a forever home. Another successful and amazing transformation! When a cat is rescued from a tough life it can take a lot of time, medical assistance, and love to transform them. This kitten is the exception to that rule. It only took one week from this rescue to go from barely able to keep their eyes open to completely transformed. Their owner says that once she was home safe, the kitten’s eyes quickly opened, and they started to cuddle up all around the house. It’s incredible what some medical intervention and a whole bunch of love can do for an animal in need of some TLC. 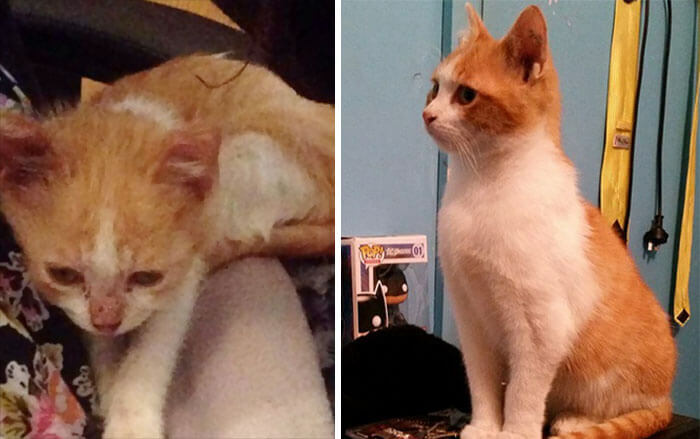 This abused cat named Oliver was living with a family who completely took him for granted. 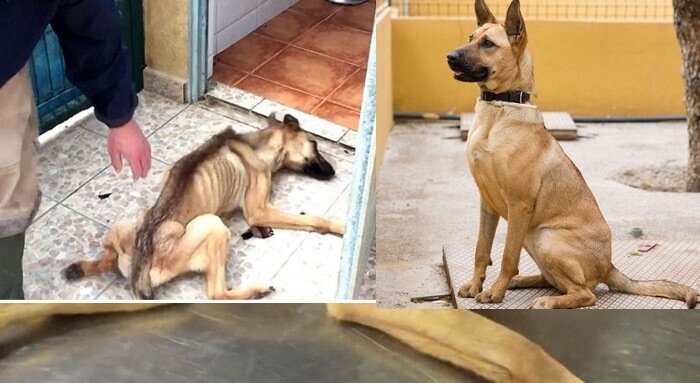 When he was rescued from her abusive owners he was underfed, physically tormented, and depressed. A new family stepped in and made sure Oliver had a happy and caring home to call his own. 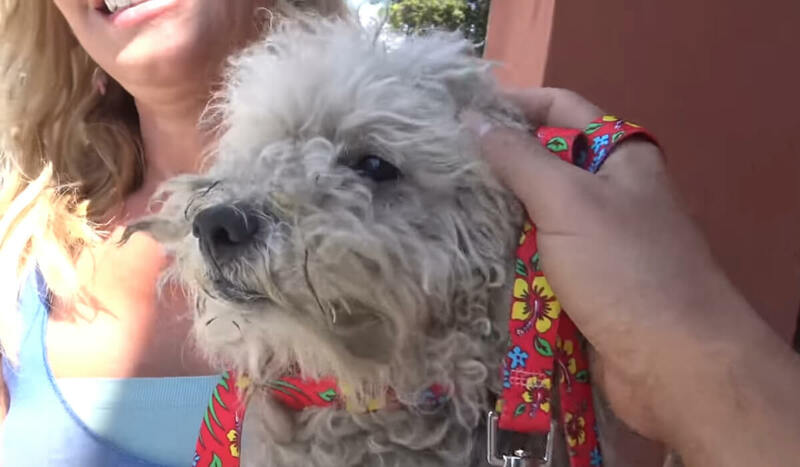 It took only 12 weeks to completely rehabilitate this adorable little furball. At first, he was afraid of humans, but it didn’t take long for him to cuddle up to his new family. He’s now incredibly healthy with no traces of his former life. When Emmy (brown) and Oscar (white with spots) were discovered by the Chicago Police Department, they were in really bad shape. They were both malnourished and scared of humans. They were forced to undergo expert care and with the right mix of food and love they transformed into amazing pets. One of the vets at Trio Animal Foundation fell in love with Emmy and decided to adopt her on his own. Oscar was quickly put up for adoption after he was given a completely clean bill of health. Both dogs now have forever homes. This dog was featured on the YouTube channel “Around The World” and their amazing transformation has attracted more than 1.1 million page views. When he was discovered, this poor little pup barely resembled a dog. However, he was taken to the vets, given a proper diet, and plenty of love. It took months to rehabilitate him but after some trials and tribulations he grew a lush coat of fur and developed a playful demeanor. There are a lot of cruel people in this world when it comes to dog ownership but thankfully there are organizations willing to step up and save animals who appear to be marching towards death. It’s not just cats and dogs who are saved by animal rescue organizations. This horse was neglected by its former owners. Pet rescue authorities were forced to remove this horse from a farm because of its poor health. The previous owners were not feeding the horse and it didn’t have access to water. After being rescued the animal was properly fed, put under continuous veterinarian monitoring, and given the love it needed to thrive. 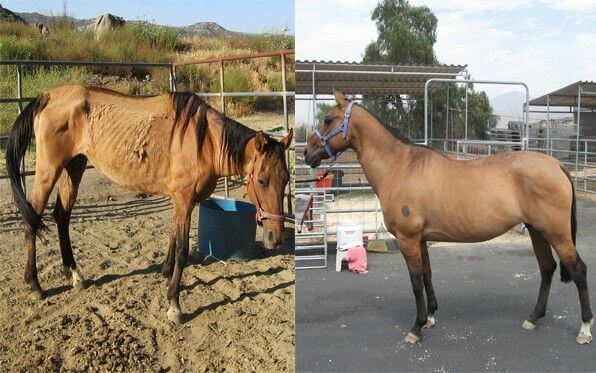 Months after it was rescued this horse went from nearly dead to a beautiful and happy animal. When this dog was brought into the Trio Animal Foundation he was yet another victim of a dog fighting ring. 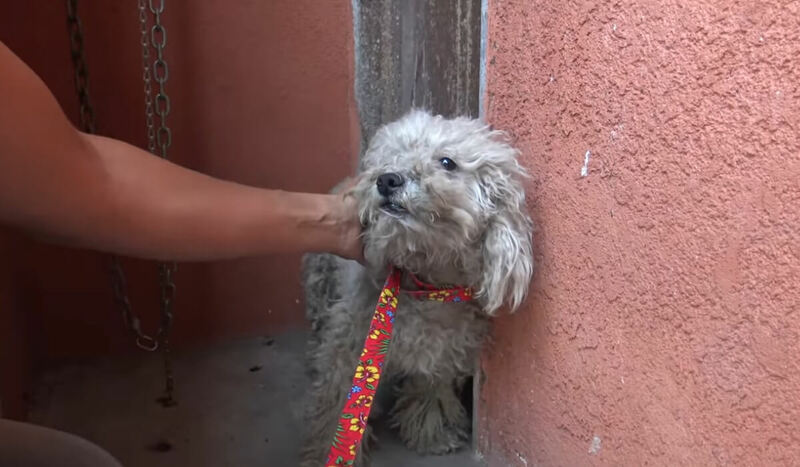 The poor little dog was viciously attacked and on the edge of death when they were discovered. They were forced to wear a cone to prevent any licking or gnawing that could cause further damage. Thankfully, as time passed, their fur grew back and they became less skittish around humans. 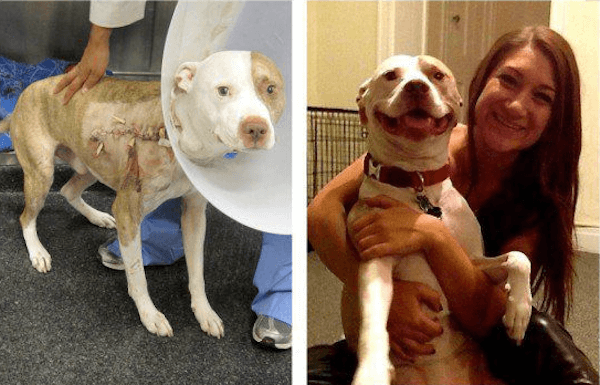 Eventually, this once badly beaten dog found their forever home and their entire demeanor changed from scared and angry to playful and loving. Tyrion was stuck in a familiar scenario that plays out for millions of unfortunately cats and dogs all over the world. He was not properly taken care of and ended up developing a pretty awful eye infection. After being rushed to a local shelter, Tyrion was immediately treated by a highly-trained staff of veterinarians. Over the next month, this sweet little kitten started to fight off the infection. 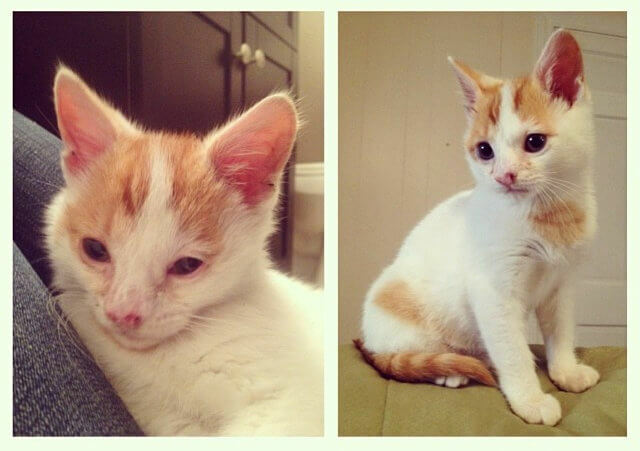 Soon, they looked like a brand new kitten and that led to the discovery of a new forever home! Just look at how cute this adorable little furball is these days! The sad fact is that a lot of animal rescues are in really awful shape when they are saved from death. This cat not only had infections in both eyes but also a broken nose, fleas, and worms. If they were forced to fend for themselves they likely would have died. Luckily, a good humanitarian brought her to a shelter where she was quickly brought back to good health. She now has a long and healthy life to look forward to! When this sick little kitten was found on the streets they were so sick that even standing was a difficult task. Vets were luckily very familiar with how to nurse this type of animal back to health. 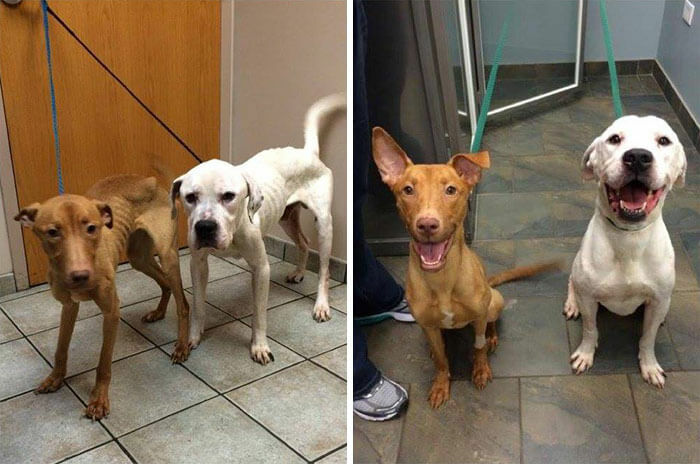 With a proper diet, medicine, and some patience, they started to grow back their fur as their strength returned. Eventually, this adorable kitten was adopted by a loving family and given a forever home where they felt loved. They continued to improve every day and an after photo showcases just how quickly a cat can make a turnaround with the right love and care. A lot of the rescue dogs we have covered were in such bad shape that it became obvious at first sight that they needed help. If you didn’t know better it would appear that Benji was a well taken care of pooch. 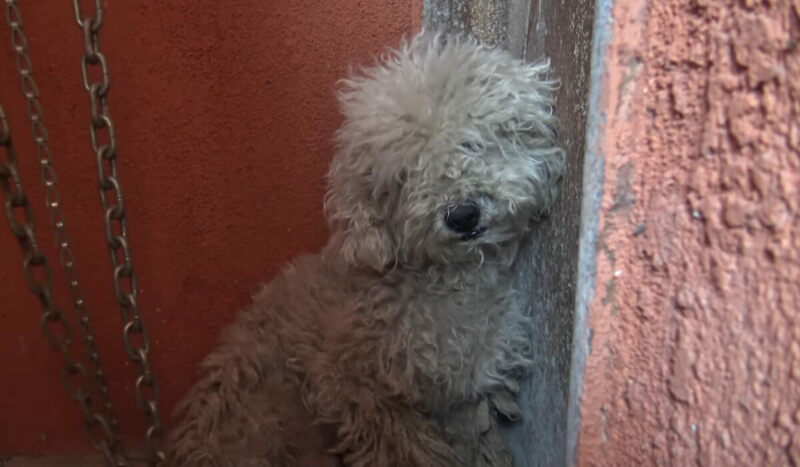 However, this poor dog was covered in painful matted fur that hindered their ability to live a normal life. Little Benji was also afraid of humans which made it hard to find him a home. 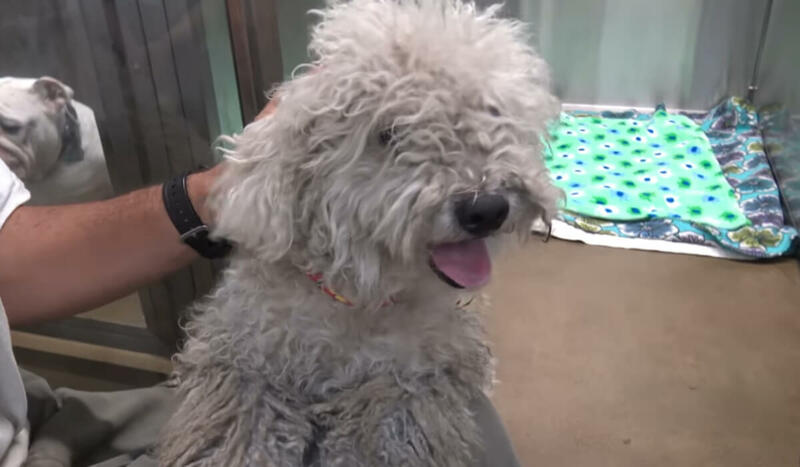 However, one forever family was willing to take a shot on Benji and he soon went from matted and sad to friendly and, dare we say it — dapper! 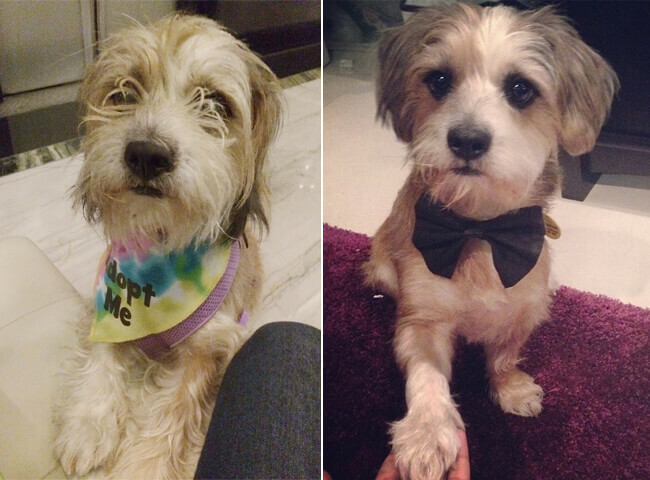 We call Rasta the “Wonder Dog” because he made the biggest transformation on our list. 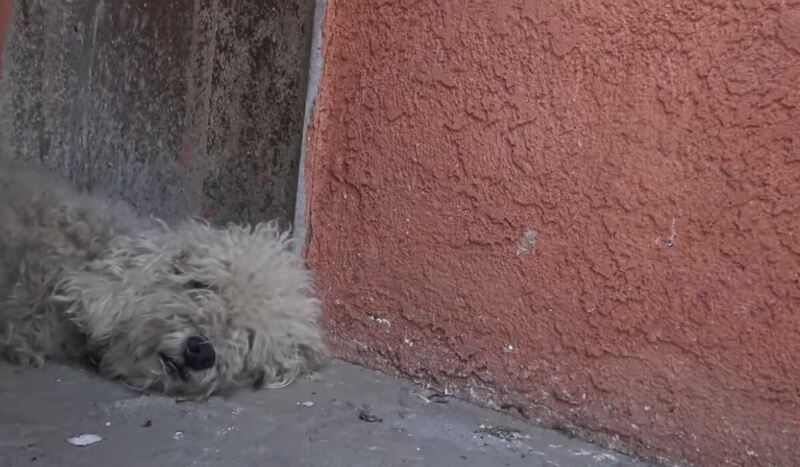 When this poor little puppy was found on the streets of Montreal, Quebec, he was so matted and dirty that he barely resembled a dog. He could barely move because of his mats and his eyes were almost completely covered up. After a quick shave and a bath, he started to resemble a dog for the first time in a long time. Eventually, he was adopted and his transformation from abandoned pup to loving house pet was completed. When this dog was discovered in Montreal, Quebec he was so thin and sick that he couldn’t stand up on his own. 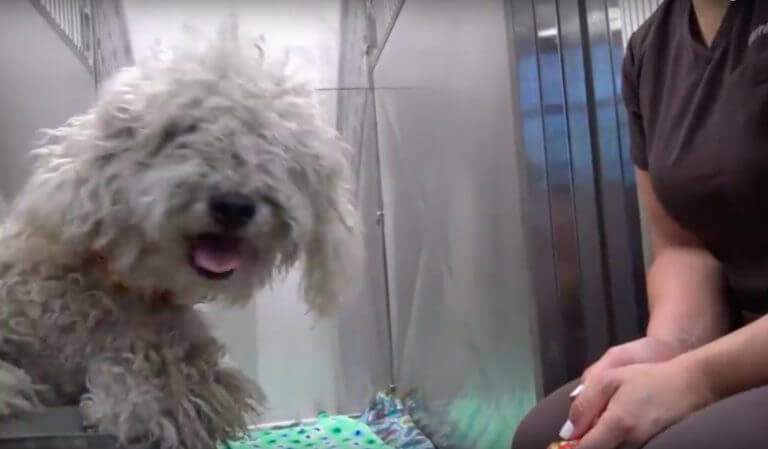 It took veterinarians and shelter assistants a full seven weeks to nurse this poor dog back to health. After medicine, exercise, a balanced diet, and plenty of love, he eventually started packing on the pounds and gaining back the strength in his legs. 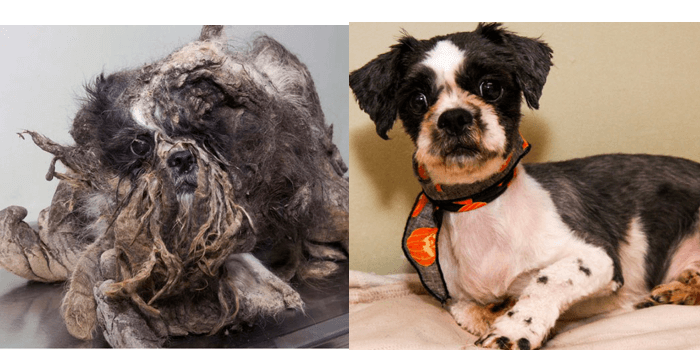 A quick examination of his before and after photos show exactly how quickly an animal can recover and live a happy and healthy life when they are properly cared for. Theo’s owners abandoned him when they moved away. After months on the streets with a lack of grooming, he was looking pretty worn down and scary. Theo was lucky enough to be picked up by Hope for Paws, a rescue agency that gave him a trim, washed his fur and nursed him back to health. This adorable little guy ended up spending nearly a full year at Hope for Paws before a forever family came calling. 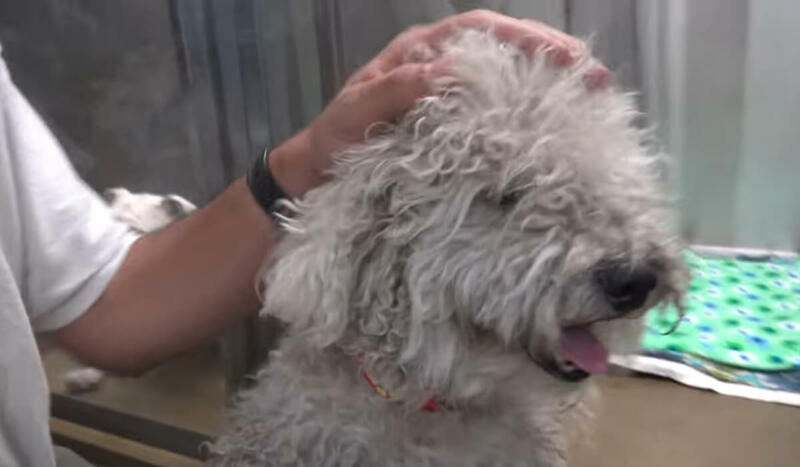 He may have lived a sad life before he was rescued but now his days are filled with plenty of love from his new family. 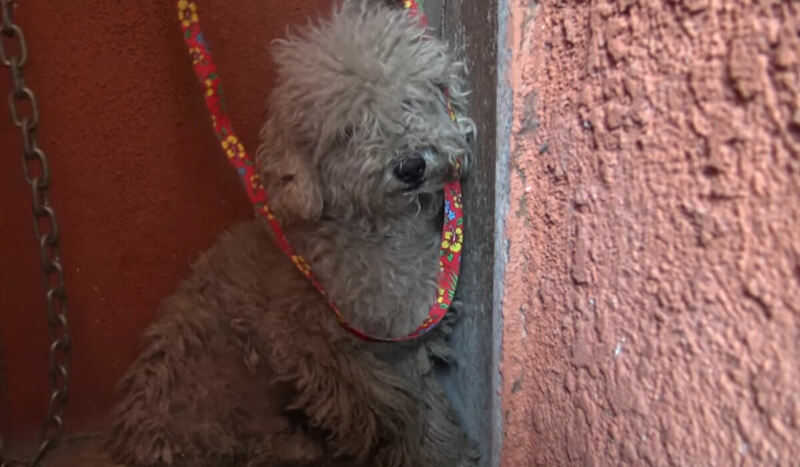 Treasure, a 2-year-old female purebred miniature poodle, was neglected by her former owners. 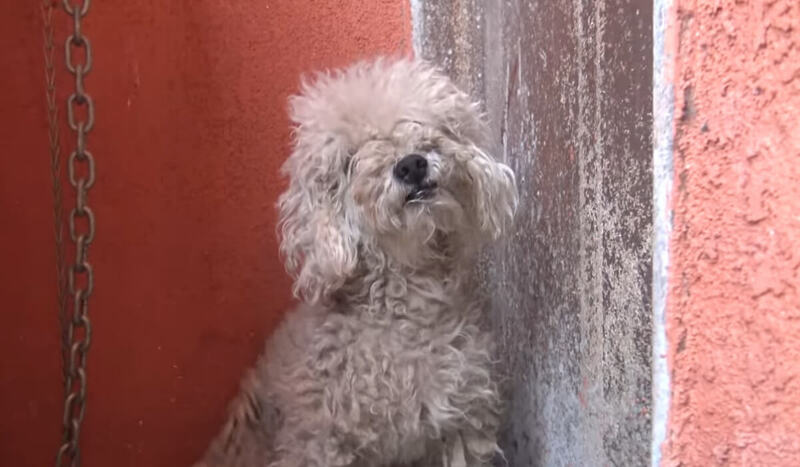 They never bathed her and they refused to cut out the matted fur that covered her body. The Natchez-Adams County Humane Society stepped in after realizing this poor dog couldn’t even walk because of her matted fur. It only took a haircut, a bath, and some TLC for this beautiful dog to recapture their former glory. With a new look, this cutie was quickly picked up by a family looking to give a dog their much needed forever home.